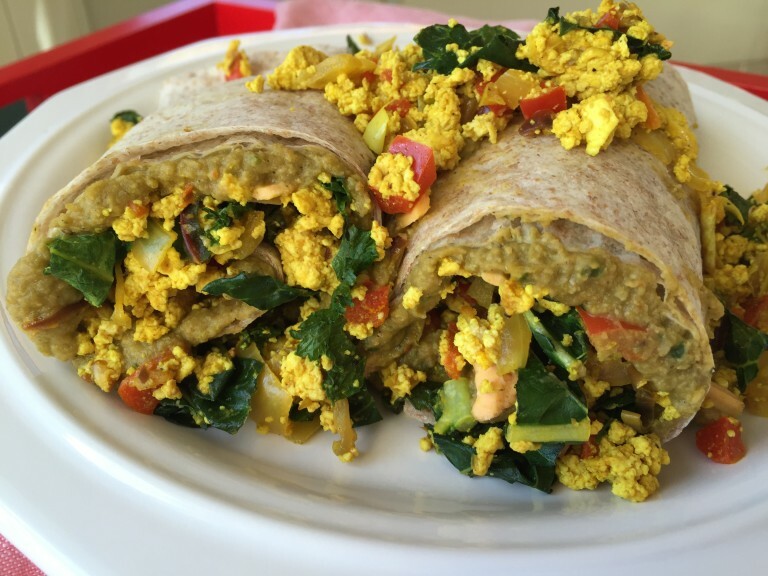 Vegan Breakfast Burritos Vegans Eat What? If mornings are rushed, we have the perfect solution! Make -a-head freezer-to-oven (or microwave) breakfast burritos for a delicious and healthy start to your day! Prepare hummus by placing all of the hummus ingredients in a food processor and blending until smooth. Smear hummus over tortilla, add scramble and small amount of cheese. Roll up the tortilla like a burrito and wrap in parchment paper. Repeat with all the burritos and place them in freezer safe zip lock bags. Defrost burritos before heating in the oven. It is not necessary to remove the parchment paper. Preheat oven to 350º. Oven bake 30 minutes. You can also microwave the frozen burritos in the wrapping paper from 4 to 5 minutes.